On our flight from Chennai to Mumbai, I listened to the song “Mother India” by Caedmon’s Call. 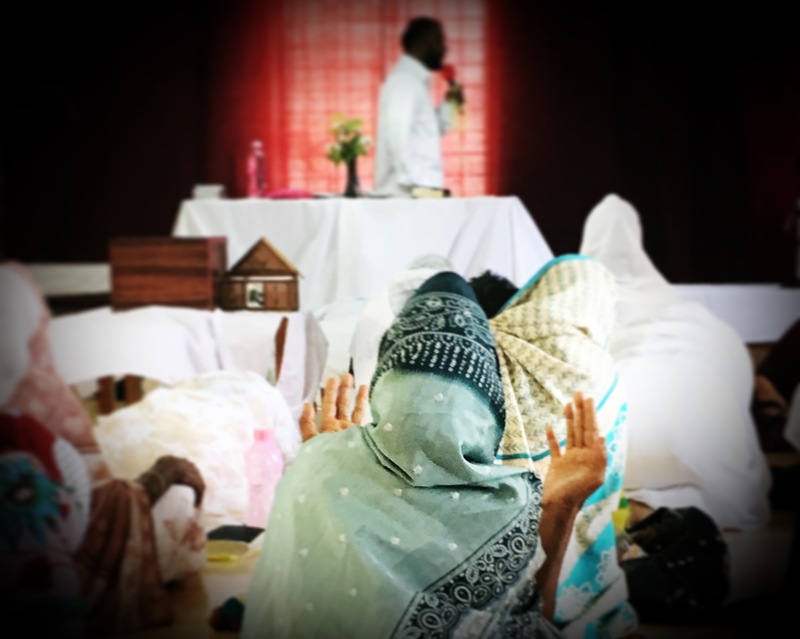 The lyrics talk about how the people of India worship god completely, yet we, as westerners, can get so distracted that we forget the grace of God and forget to worship Him fully. Just the day before, we went to church in a village called Poonthandalom. On the way we passed lots of people who were walking. When we asked our host what they were doing, he told us they were pilgrims walking 600 miles to pray for specific things at a Catholic Church. Some of the pilgrims were Catholic, but many weren’t – they had incorporated the journey into their Hindu worship since Christ can just be another god for them and not the God. They walked the last mile of the pilgrimage on their knees, committed to this worship so that they could request what they wanted or needed from god. At the church in Poonthandalom, the congregation listened to the pastor’s preaching intently. While he prayed, they prayed out loud and with passion, pleading to God. When they sang, they sang loudly and clapped along in order to make as much noise to honor and praise Christ as possible. After the church service, we visited an ancient city that our host called “a place of great sacrifice.” Almost 2,000 years ago, the king of that area had the people of his city bring offerings to the temples there and make sacrifices – animals, and sometimes even humans. Walking around the ruins, we saw some who had come to worship at an ancient temple there. They were bowing down and rising to their knees and feet to worship. I have met men and women in India who used to be magicians and worship at temples to other gods that didn’t respond to them, and now they worship the true God who does hear them. They have such a sense of complete love and worship for Christ. Even those that were bowing at the temple seem to be in complete worship to the god of that temple. Yet I on the other hand get so distracted or don’t realize how much more I could be giving in my worship to the Lord. I was born into a family that follows Him, and I learned from an early age how to seek and follow Him. I’m thankful to have been born into that family and to have had that upbringing. Sometimes, though, I see others who were born into families that were magicians worshipping idols in temples. Some have now come to know Jesus completely give themselves to worshipping Christ, and I have to ask myself if I do this in my life. I hope I can learn from them how to be so earnest in my worship for the Lord.